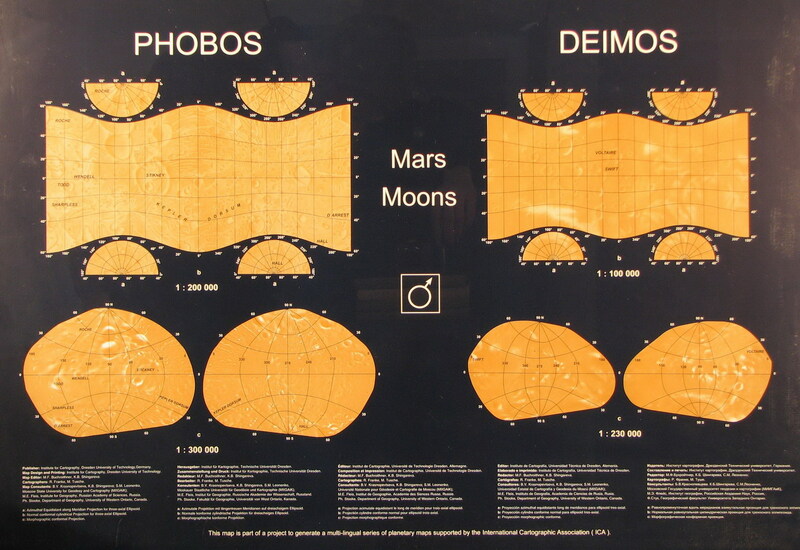 This map sheet is a supplement to the Phobos Atlas. 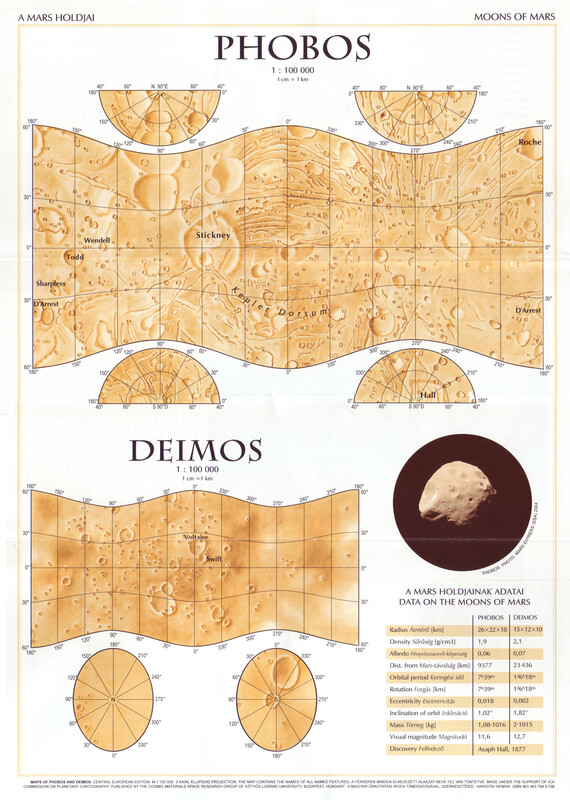 Cartographers: Kokhanov AA, Bulanstev OE. 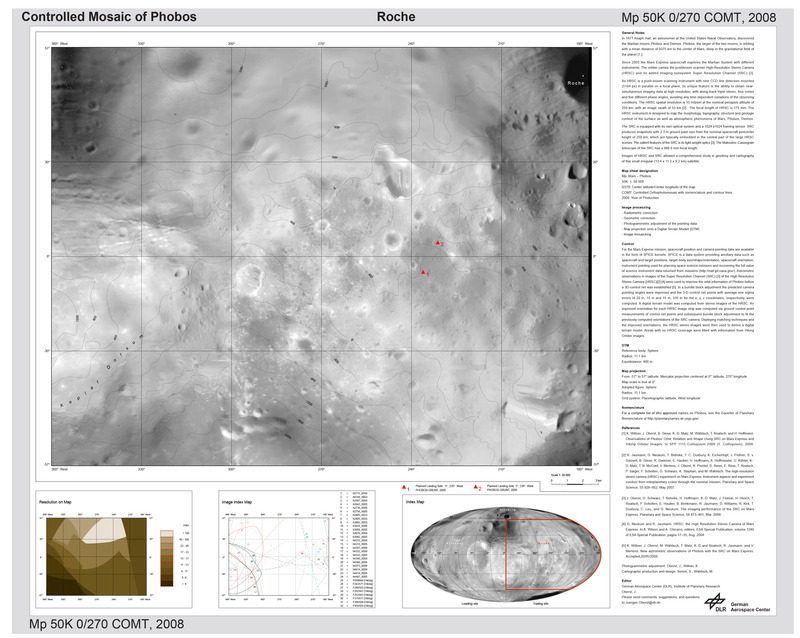 Reference: C. Runyon, D Hurd, C Hall, M Williams, K Quinn, J Matelock: Visualizing space science: touching to see and understand. 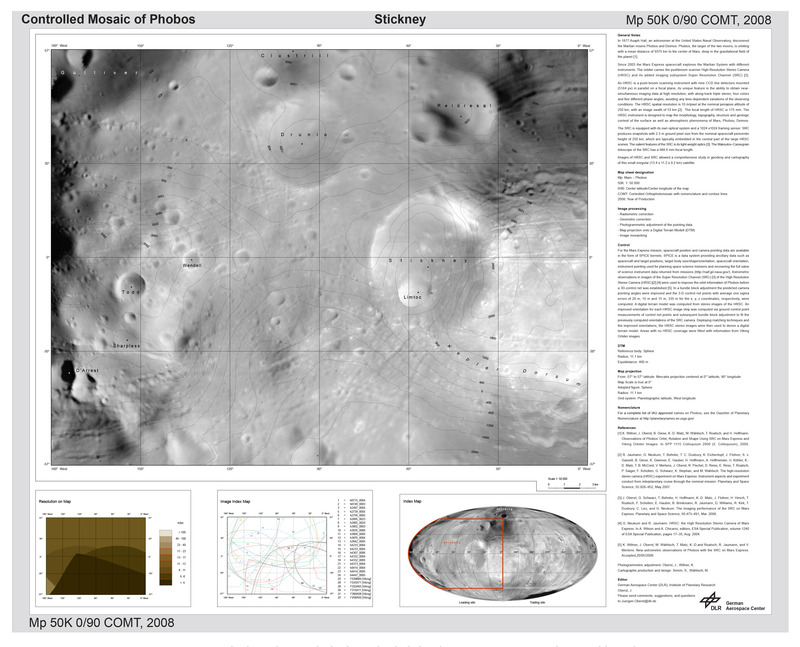 Shade relief base map: Editors: B. V. Krasnopevtseva, K. B.Shingareva, Moscow State University for Geodesy and Cartography (MIIGAiK). 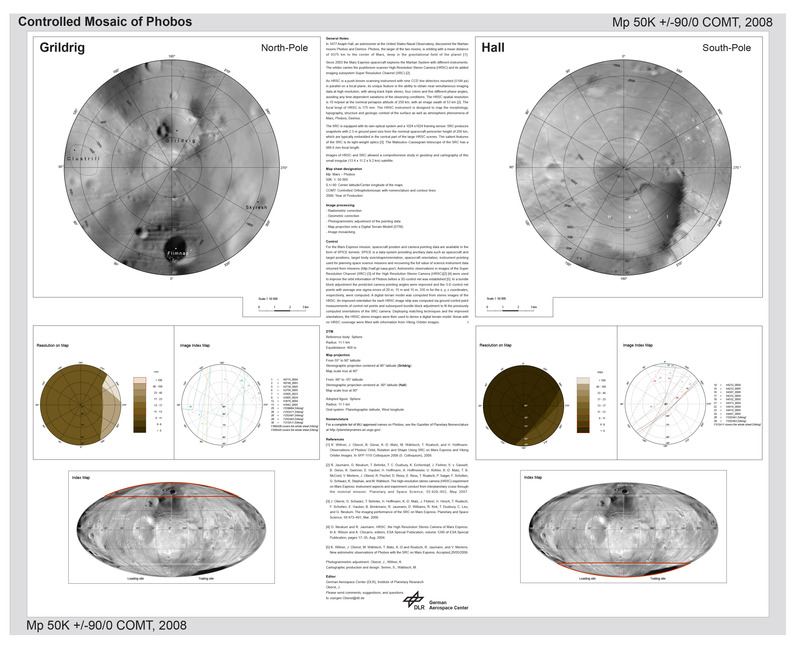 Published by the ICA Commission on Planetary Cartography. No further information available. Photographed at MIIGAiK, Moscow, 2009.